빌뉴스, 리투아니아의 B&B 플로렌스 | 호스텔월드에서 예약하세요. 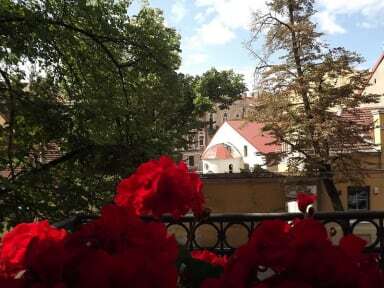 Superbly located in the Old Town of Vilnius, right near the famous Gates of Dawn and Central Bus/Train stations, B&B Florens offers 7 private rooms with free Wi-Fi and coffee/tea making facilities. The majority of the remarkable historical objects of medieval Vilnius as well as restaurants, supermarkets, souvenir shops, are easy reachable by walk. Family owned private property is situated in an authentic 19th century building listed in the UNESCO cultural heritage as a monument of architecture. The central railway and bus stations are only a 5 minute walk away. Some rooms are with balconies. Most of rooms are for non smoking guests. Check-in: 13:00-21:00. 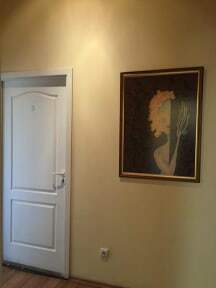 Late check in is possible for an additional fee of 10 EUR and has to be confirmed by the property.